Is it a coincidence that Lombardy is home to so many successful coachbuilders rich in tradition? Or was it simply that the futurist virus of speed, the brainchild Filippo Tommaso Marinetti released into the world in 1909, was able to spread here particularly well? The fact remains that nowhere else was the symbiosis of technology and art, engineering and poetry, speed and beauty so passionately addressed than in the industrial centers of northern Italy. Despite the howling engines luckily the martial battle cry the Futurists had struck up gave way to more elegant and less aggressive forms of expression. Even though it must be conceded that in every racing car and in every super sports car there is still a palpable allusion to those idolized vehicles which, to quote Marinetti’s manifesto, seem to “run on machine-gun fire”. But let’s get back to automobile design. While generally speaking, and the exceptions prove the rule, the British tend to favor a substantial, pragmatic style, the French go in for chichi while the Germans prefer the functional, still in the end they all form a bodywork around their engine. Not so the Italians, who continue to excel in the noble art of coach building and drape both racing cars and mass-produced cars in robes that emphasize the car’s body while extolling its spirit. Even when they engage in pure styling, though they have long since advanced further, they remain the true masters of automotive haute couture. What would Italian design and the international automobile industry be without them, without Bertone, Giugiaro, Pininfarina and Zagato, who develop surprisingly new ideas, dream up vehicle concepts and produce tailor-made bodyworks? Let’s call them the Fantastic Four. Yet let us be strict and at the end of our short series select just one model from each designer’s truly extensive range. A subjective approach admittedly, but fascinating. We have already presented the Alfa Romeo “B.A.T.” models and the Lamborghini “Miura” from Bertone. 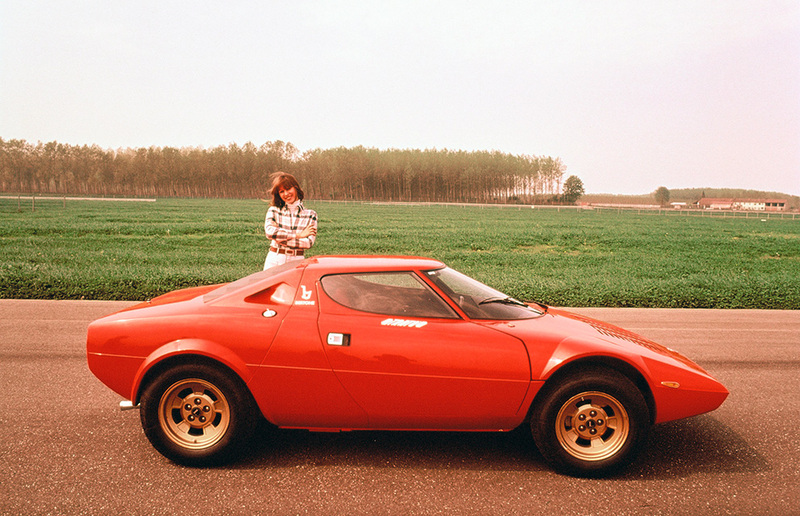 So I shall opt for the Lancia Stratos, especially as this highly traditional Italian auto brand has, to date, had a rather raw deal in our “Bella Macchina” series. The year was 1970. 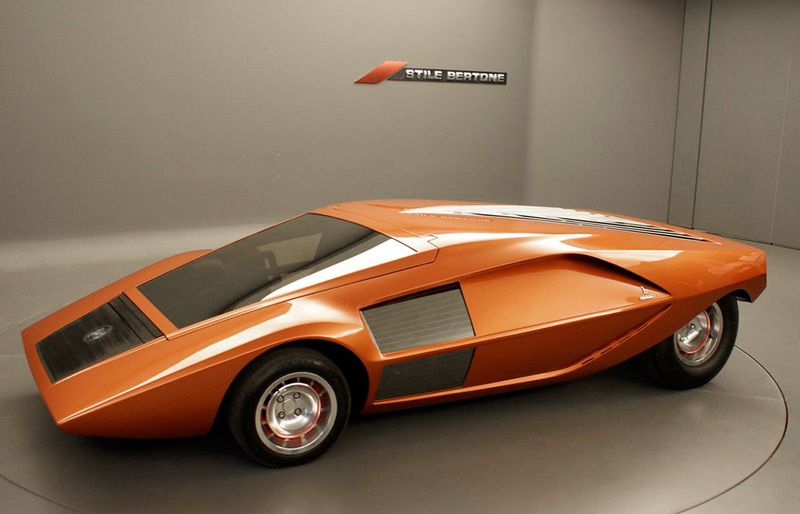 Bertone presented the “Lancia Stratos 0” concept car at the Turin Motor Show. Everything about it was extreme: the flat arrow shape, the driver’s seat way towards the front, and with a one-piece hinged windscreen posing as the only entrance. In 1971 the Lancia “Stratos HF” was presented with the six-cylinder of Ferrari’s “Dino 246 GT”. Unlike the “Stratos 0” concept car the engine was centrally mounted. The clear arrow shape was retained but slightly modified. Nor did the driver sit as far forward. Front and rear sections were made of glass-fiber-reinforced plastic and can be completely lifted up. As it was a car developed for professional rally drivers the wheelbase was very short. Whether in the rally or road version the “Stratos” was and has remained what is arguably the most powerful thunderbolt in the history of automobile design. There are few international carmakers for whom Giorgio (or Giorgetto) Giugiaro (and his Italdesign) have not worked. Many consider Giugiaro to be the most influential automobile designer of the 20th century, and rightly so. The Volkswagen “Golf I”, whose lasting success is beyond all shadow of a doubt, is the best-known example for a mass-produced car by Giugiaro. Then for the sake of variety you could choose the “DeLorean DMC-12” by Giugiaro with its gull-wing doors and its brushed, unpainted stainless steel body panels, if only because it became the star of the movie “Back to the Future”. But as we wish to remain in Italy we opt for a model that shows the tightly-knit cooperation between designers and coachbuilders in Italy. 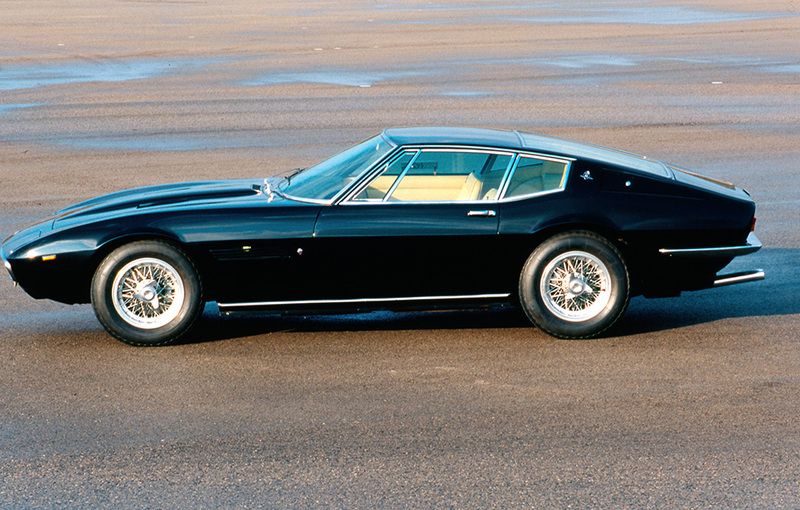 The first Maserati Ghibli (named after the Sahara desert wind) from 1966 has a sensational body. After leaving Bertone, Giugiaro designed it in just three months for Carrozzeria Ghia (suffice it to say: Karmann Ghia). He himself still considers the “Ghibli” his most attractive creation. A flat top, long hood and a short passenger compartment together with a distinctive hatchback – seldom did dynamism and elegance enter into such an intimate connection. By his own account Giugiaro included the long hood to “underscore the presence of the powerful engine”. Together with the rear section that drops in a gentle curve down to the waistline it characterizes the noble and simultaneously sporty appearance of the “Ghibli”. It is difficult to find a car with such perfect proportions. 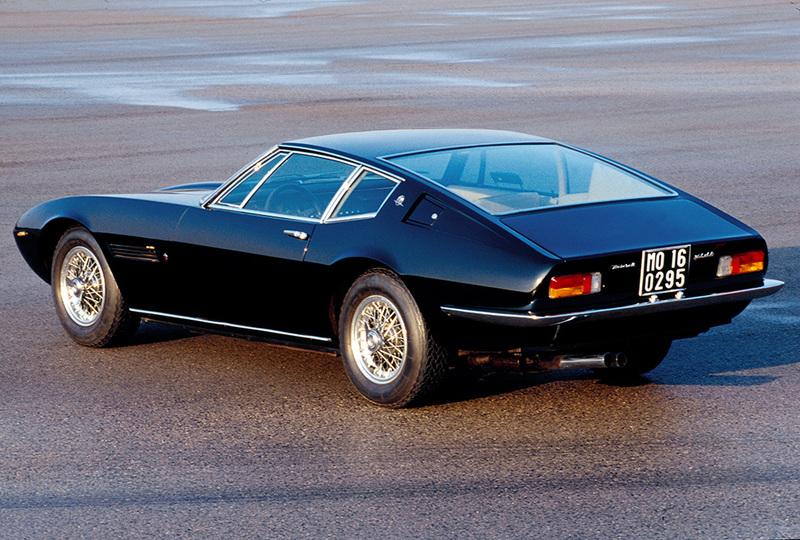 In 1968 the “Ghibli Coupé” was complemented by a two-seater “Spyder”, likewise designed by Giugiaro. Battista and Sergio Pininfarina masterminded only few vehicles themselves. However, these include such pioneering designs as the “Cisitalia 202 GT” from 1946 and the Alfa Romeo “Spider” (nickname: “Osso di Sepia”) from 1966. But over the years numerous budding designers worked for Pininfarina, resulting in the one or other automobile icon. 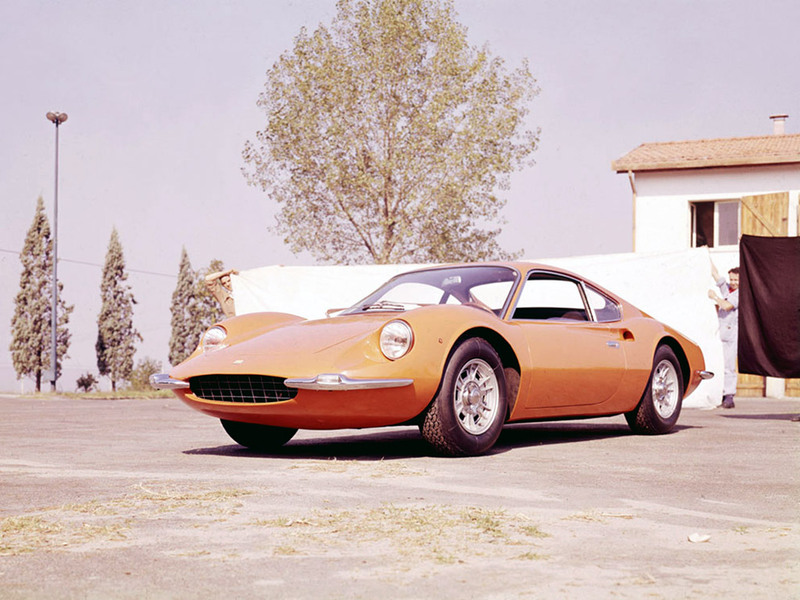 As Pininfarina is closely connected with Ferrari, the Ferrari “Dino 206 GT” must be mentioned here. 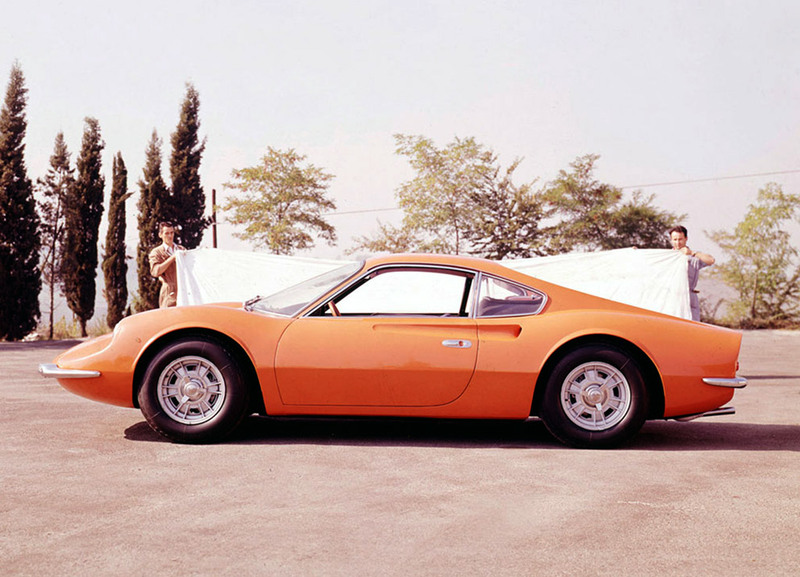 It was produced between 1969 and 1974, with Aldo Brovarone designing the body for Pininfarina. As he was lacking the “dodici cilindri” typical for Ferrari and only had a V6-engine, it was marketed under the “Dino” brand (Dino was the name by which Enzo Ferrari’s son Alredo, who died young, was known and after whom numerous racing cars were named). 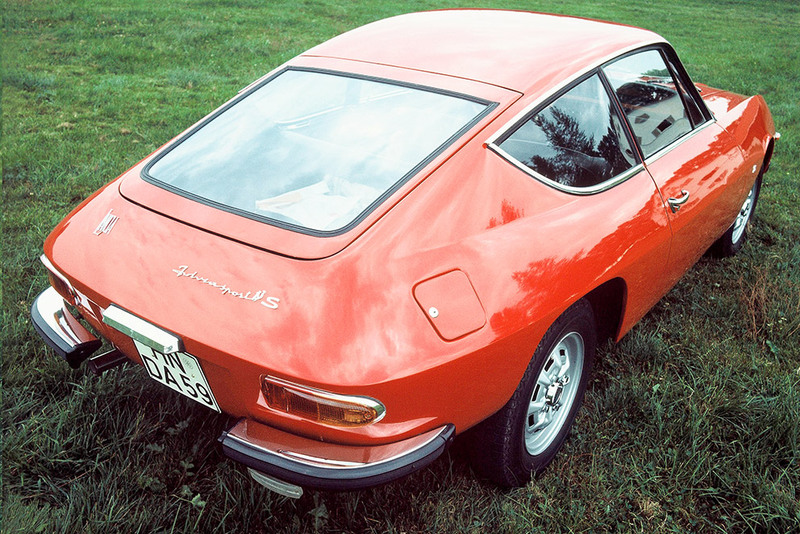 The “Dino” was the first sports car with a central motor Ferrari mass produced. 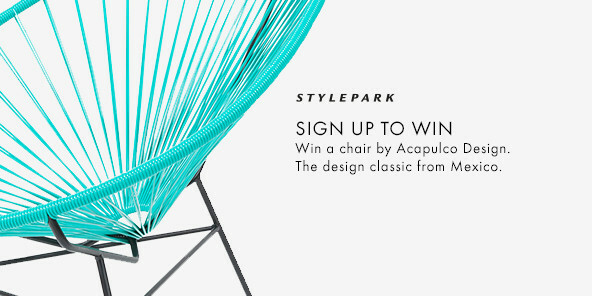 As for the magnificent design, simply see for yourself! Founded in 1919 by Ugo Zagato and headquartered in Rho near Milan, Zagato is one of the oldest existing car body designers in Italy. And one of the most individual to boot. A Zagato is always a Zagato no matter for which manufacturer it was produced, and they were and still are numerous. From an early stage Zagato championed lightweight bodywork and aerodynamic features. They are particularly specialized in making Gran Turismo models (often prototypes based on mass-produced cars), of which often only one exists and which they always succeed in lending an extravagant touch. So which Zagato should we choose? The Aston Martin “DB4 GT Zagato” designed in the early sixties by Ercole Spada would be an excellent choice, but it is only half Italian. So let us opt instead for the Lancia “Fulvia Sport” from 1965, a standard model that has racing features. Visually, the “Coupé” differs completely from the other versions and involved a great deal of manual work. 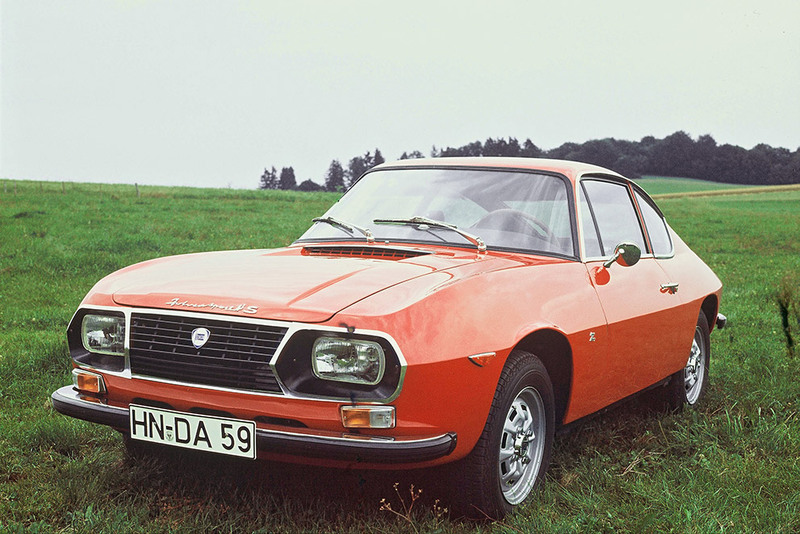 In mechanical terms the Sport is identical to the “Fulvia 1.2 Coupé”. It has improved aerodynamics, reduced weight thanks to its aluminum body, while changes to gear ratios made for greater driving enjoyment. The rear window opens electrically for better ventilation inside. With the characteristic, upward curve of the rear side window and parallelogram shaped headlights integrated into the front grille the “Fulvia Sport Coupé” remains a singular appearance.